A new coat of paint is an easy way to refresh the look of your home or business. Whether you need interior or exterior painting, you can count on SpringWoods Home Services from prep work through painting and clean up. 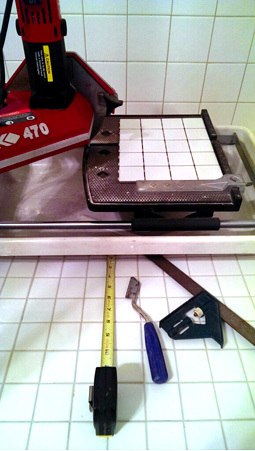 Trust that SpringWoods Home Services will ensure successful tile repair, installation, removal and grout work. TILE: floors, walls, fireplace trim, base trim, backsplashes, showers and countertops. FLOORING: tile, wood, laminate, etc. Repairs and new installs. We install and replace drywall. 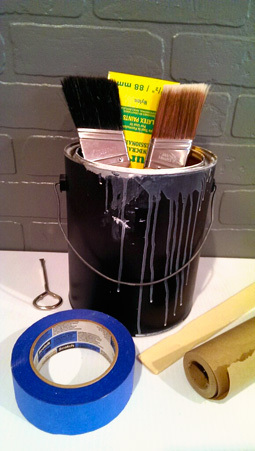 From repairing holes in the walls, repairing tape seams, nail pops to matching textures. Fence pickets loosen and gates tend to sag with time. Underlying issues such as rot, termites and soil erosion can also cause problems. SpringWoods Home Services can also replace or repair your gate hardware. Call SpringWoods Home Services to hang your mirrors, portraits, pictures and artwork. Are you running out of storage space or need to be better organized? We can help you determine the best shelving solutions for your needs. Your front door will slowly weather with time. Let us transform your door to a like new appearance. Call SpringWoods Home Services to mount your tv to the wall. We can hide those unsightly cords and cables. We have years of experience assembling furniture and a variety of other products such as trampolines and exercise equipment. Let SpringWoods Home Services be of service to you when installing drapery/curtains rods and all types of window shades and blinds. Base boards, crown molding, trim boards, wainscoting, chair rails and shelving installed. Exterior: fasia, support columns, siding, soffit and brick mold replaced. Let us enhance the curb appeal of your home while adding energy efficient solar screens. Pressure washing your home and surface cleaning your driveway, walkway, porch, patio and deck can help prevent contaminates such as mold, mildew, and algae. This is extremely important if you are thinking about selling your home. We know those hard to reach light bulbs can create a problem so call SpringWoods Home Services we can help.